Boy, this is strange. After years in the industry of creating special features for DVD and Blu-rays, I've never really done a review for one. But now that I'm no longer working in that field, and given that the folks in Sony Pictures Home Entertainment's publicity department were kind enough to send me review copies, here goes... my very first disc review of the Ghostbusters and Ghostbusters II Ultra-HD 4K Blu-ray releases. Being only the second UHD disc that I've been able to take a look at (the other being the recent Deadpool release), it's tough to have a comparison for these older films in a 4K presentation. 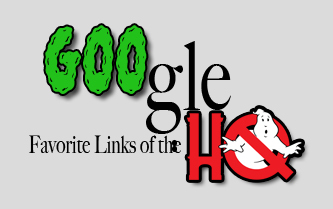 But as a fan of Ghostbusters, I loved every frame of what has been done here. In terms of the first film, the picture quality is very comparable to the "Mastered in 4K" release - I'd have to put freeze-frames side by side to get a good idea just where the differences occur in the jump in resolution. But this master is leaps and bounds better than the original pre-remastering Ghostbusters Blu-ray release... which was better than the previous DVD release, which had improved on the original DVD release. That's the good news, with ever release the picture quality continues to shine incrementally. Colors are deep and rich. Sharpness is good without any lines buzzing. I wish I had the ability to take screencaptures from the UHD discs because the picture presentation is absolutely astounding. Grain has been left in place to continue to give the feature presentation a filmic quality (and to mimic what audiences would have seen in theaters with a print projection) but the sharpness and the detail is wonderful. Sure, compared to the Deadpool UHD, there's a noticeable jump in the detail and fidelity of the image between the two, but make no mistake, this is the best that either film has looked in years let alone on a home video release. But chances are, if you purchased either the "Mastered in 4K" Blu-ray a year or two ago or that two-pack Digibook set and you're happy with the picture quality, you might not notice that large of a jump between the two releases. This is where the new release for both films really shines. My Dolby Atmos enabled system loved the brand-new mixes done for both of these films, even if they are a little scaled back when compared to the Deadpool UHD or the most recent Gravity Atmos release. Needless to say, the new mix is a massive upgrade from the stereo mix days, the surrounds get a pretty good workout with a lot of flybys and sound effects enveloping you on both films. It's still not as bombastic of a mix as a modern-era Atmos mix might provide, but for a film that's over 30 years old in the case of the original, it's still pretty darn impressive. First off... hey! They listened and swapped Slimers so that the correct version of each is on their respective covers (initial versions of the box art solicited had Ghostbusters II Slimer on the original film's cover and vice-versa). It looks like they also nudged the (odd-choice) Fort Detmerring photo on the original films' cover so that the logo isn't chopping off poor Ernie Hudson's head. That said, man those covers are still ugly. The UHD discs lack any special features with the exception of an audio commentary, most likely to assure that the highest bit-rate is dedicated to the picture and audio presentation on these discs. But the standard 1080p Blu-ray discs include the same special features that were included on the Digibook two-pack set released in 2014. But hey, this is my first venture into a Blu-ray review, let's leave no stone left unturned and dive into what's here (and what's not). "Time is But a Window: Ghostbusters II and Beyond" - the second part of the Geoff Boucher "roundtable" that gives a little bit of a discussion on the production and response of the second film and talks about prospects for a third film at a time when Paul Feig's current July release was unannounced. Deleted Scenes - 10 scenes from the original film (with several missing that were on the Criterion disc and for some reason still have never made it onto a SPHE release) and 7 very welcome deleted scenes from the second film are presented here... although there are several scenes from the second movie that aren't represented here for one reason or another including a cameo from Eugene Levy we've seen in production photography but never on celluloid. Deleted scenes, especially with actors cut from the film in entirety are always a tricky thing, but those are the types of things that fans would love to see. Maybe some day. Again, good fodder for another box set down the line. Alternate TV Takes - These are a lot of fun, especially for those of us that grew up without a proper VHS release of the film and instead watched the ABC Sunday Night at the Movies recording we had over and over. A fun inclusion. Audio Commentary by Ivan Reitman, Harold Ramis and Joe Medjuk (on the first film). This is the same commentary from the 90s, it's fun and light-hearted but a little dated at this point. Dan Aykroyd had said he recorded new commentaries for both films at the time of the original Blu-ray release, neither of which strangely seem to have seen the light of day. Maybe an upcoming box set with the 2016 film? Slimer Mode - the "BonusView" track over the film is fun, although a bit repetitive of materials elsewhere. "Ecto-1: Resurrecting the Classic Car" - great 15 minute featurette from when the car was restored for the 25th anniversary. Sadly since that time, the Ecto-1A from the second film has been rotting and still sits in shambles. Featurettes: Original 1984 featurette (cut from the EPK material, which is fantastic), cast and crew featurette, SFX Team featurette - these are all great though aren't given much time to breathe. There's also a multi-angle feature that is replicated from the original DVD release (and the Criterion Laserdisc before it) where you can see VFX/SFX shots before and after with the touch of a button. Music Videos: Both the Ray Parker Jr. music video and the Bobby Brown "On Our Own" music video are represented on both discs. Glad to have them. Though there's several other music videos that could and should be included on a future release. The Bus Boys' "Cleanin' Up the Town", Mick Smiley's "Magic", Run DMC's "Ghostbusters" remix. Trailers - yes. That same weird trailer is on the original film that was on the original Blu-ray release. Must have been a legal issue or something but it's... weird. Maybe they wanted to take advantage of the HD picture by overcutting footage from the film into the trailer with the audio bed, maybe there was a legal reason, but it's strange to hear cut lines of dialogue under the wrong shots (Venkman's cut line about being the "Chairman of the Largest Paranormal Removal Company" under the shot of the original Ghostbusters banner being hung outside the firehouse being the most egregious. Why not include the ORIGINAL original trailer? It's such a strange choice. I can understand not including the trailer on the Criterion disc that includes the unused Ghostbusters theme because of music legality issues, but this one is a head-scratcher to me still. NOT included on the Blu-ray are: several of the deleted scenes seen on previous releases including the Criterion laserdisc release. There's a whole lot of key behind the scenes elements that have never been explored on a home video release (which hopefully the upcoming "Cleanin' Up the Town" documentary will take care of) but for reference, I did a full breakdown of what would be the ideal set of special features in an old Private Sector column that you can see here courtesy of Proton Charging. 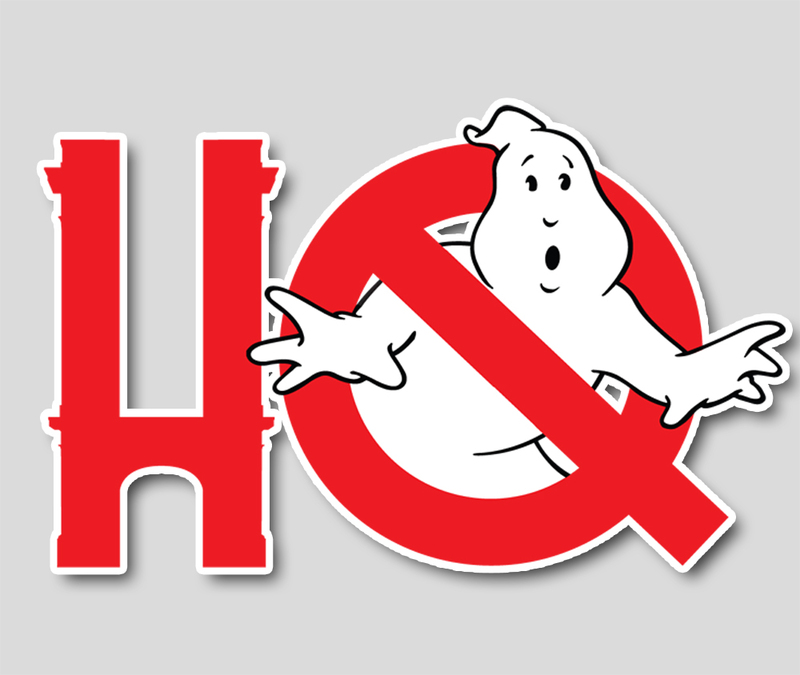 Do you have a 4K TV and the latest Dolby Atmos home theater setup and are you a die-hard Ghostbusters fan? Then this release is for you. But if you purchased the lovely Digibook set no more than a year ago, and you don't have the latest tech setup then there's really no need for you to purchase this set. Much like the "Superbit" releases of old in the DVD days, this is really for the video and audio aficionados, and even then because it's an older movie many people won't be using it as reference for their home theater demos most likely. If you've already got the excellent Digibook Blu-ray set, you might want to hold out to see if another box set of the films is released down the line with more special features. That definitive "Alien Anthology" archival version of Ghostbusters and Ghostbusters II in box set is still elusive. Maybe some day, it'll come to pass.